Quick update as promised on the Topshop Nail Polish in Big Smoke. 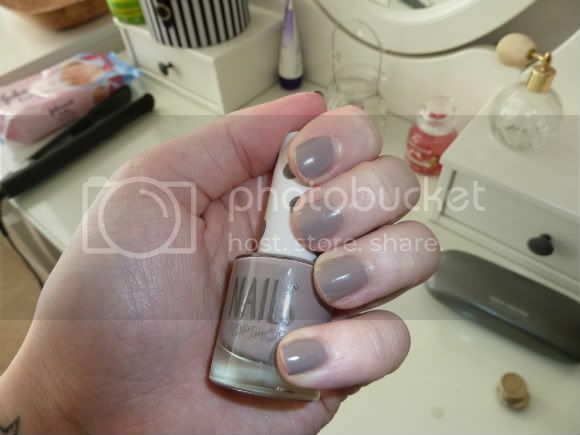 The pic below is on the second day of wear to give you an idea of the longevity of the polish. The consistency of the polish is lovely and super easy to apply. Would I recommend it? If you were to ask me about it in person my response would be "yeah its nice"
I'm liking the look of your dressing table! I like the consistency of Topshop nails, but i agree about the price. Although not shocked, it is Topshop!